If you’ve ever made a hole in the wall, then the best thing to do is to cover it up with a painting or mirror. You can always patch up that whole but sometimes it’s easier to “disguise” the problem then get it fixed. That only works in very limited cases. Consider your holiday decorations. 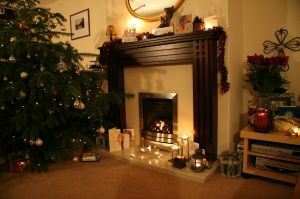 Although they will certainly look festive and bright, putting them up in a home that surrounded by clutter will only amplify all that clutter. That’s not something you can cover-up. Instead, you should bring in Junk King Albany to help you remove the clutter before the decorations go up. Junk King Albany will be sending over a two-man moving crew that will help you with all your junk removal needs. This is the team that has been expertly trained in all techniques of lifting and loading. Not only is it important to use leg muscles but also make sure floors and walls are being protected as heavy objects are taking from a home. There is a lot of skill involved in moving and it takes experience to make sure it’s done right. That’s just what you’ll be getting with these Junk King Albany crews. You also be getting a team that will show up with a “no problem” attitude. They will have no problem taking away anything you want gone regardless of its weight or size. You might think that it is a huge deal but it is to the Junk King crews. If you decorate the inside of your house, then you also will be decorating the outside of your house. The team from Junk King Albany can lend a hand out there as well. Even if it snows, you don’t want piles of junk covered up in a drift. It can all be taken away in a single junk removal session. The cost for all this hard work is surprisingly affordable. Junk King will only charge you a flat rate based upon how much space your stuff will fill the back of the truck. One rate covers everything and it’s a rate that will be locked down once it is agreed on. If you want to make your home look truly merry and bright for the holidays than the first call you need to make is to Junk King Albany. This entry was posted in junk removal and tagged Junk King, junk removal on November 30, 2016 by Todd Porter. Last updated August 16, 2017 . 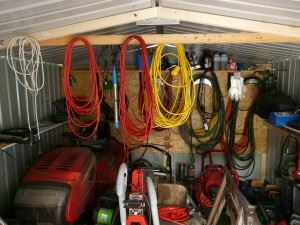 If you’re like most homeowners, then you probably have a lot of tools in your garage. These are things you’ve collected over the years that were usually bought any time something broke down. Tools also make a great gift around Christmas time. It’s easy to imagine amassing a large collection of tools that have never even used! Then there all those tools that have broken down over the years that you’re still holding onto. It might be that you hope to get them repaired some day. Or it could be that they’re too big to throw out in the trash. If you want to get serious about getting rid of your old tools like a snowblower, power saw or drill, then you need to bring in the team from Junk King Albany. This is the crew that can have your garage clear of old tools in no time at all. You’ll probably rediscover these unwanted tools as you go in search for the holiday decorations. These are be all the things that are cluttering up your path to get to those items you really need. Instead of fighting through all that clutter should turn it over to Junk King Albany. You’ll be assigned a two-man cleanup crew that will facilitate all the removal of anything you want gone from your garage. That can be a bunch of little things or huge items like an old treadmill or workbench. The great thing about hiring Junk King Albany is that they’re going to do all the work. You won’t have to lift a single thing and your back will certainly appreciate that! Once the crew from Junk King Albany has work through the garage, they can proceed throughout the rest of your house removing unwanted items from your closet, basement, attic, guest room and any other area. You can leave those things scattered throughout the home because the Junk King crew will be picking them up right from the spot. Think about how much of a difference it will be to have all that junk finally taken out of your home. This is a great way to kick off the holidays! You’ll be amazed at how fast Junk King Albany can clear out your home of all its clutter. This entry was posted in junk removal and tagged garage, jjunk King, junk removal, tools on November 23, 2016 by Todd Porter. Last updated August 16, 2017 .